The Scots also brought a new religion, Christianity, and the Picts and the Celts, the oldest inhabitants of the country, became Christians. Up to the seventeenth century Scotland was a separate country with its own queens and kings and a parliament. 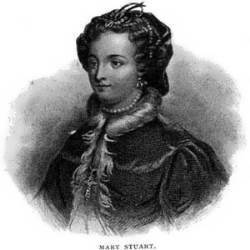 Probably, you have heard about one of the most tragic queens of Scotland, Mary Stuart, whose ill-starred reign lasted only 6 years but holds our attention 400 years on. 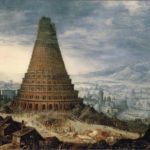 Mary was a Catholic in a country that was becoming more and more Protestant. That meant that all her life she was involved in religious and political intrigues. 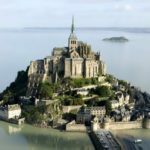 Twenty years of her life Mary spent in different castles of England as a virtual prisoner of her cousin, Queen Elizabeth of England, who could have no peace until her rival and claimant to the throne was alive. After all she ordered her cousin’s execution and Mary was the first queen beheaded in the history of Britain (but, unfortunately, not the last one). 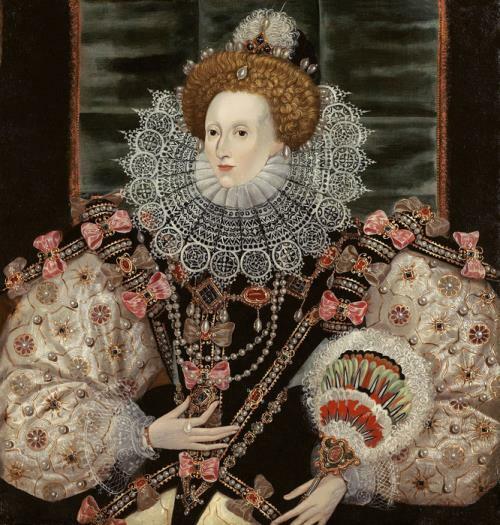 Ironically, Elizabeth, the “Virgin Queen”, had no family and left no heir, so after her death the son of Mary Stuart, James VI of Scotland, became James I of Scotland and England. The King’s new title was “King of Great Britain”. Later, in 1707, both the Scottish and the English parliaments were united and became one parliament in London. The Protestant Church became the ruling church in Scotland. The Highlanders did not like these changes and joined the grandson of the Catholic James II. 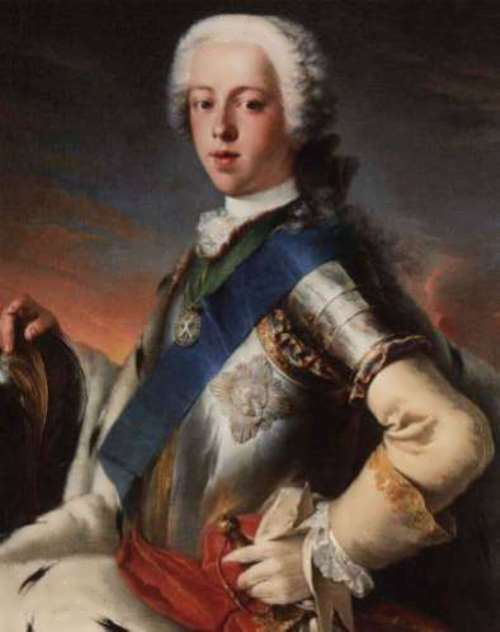 His name was Prince Charles Edward Stuart but everybody called him Bonnie Prince Charlie because he was young, tall and handsome (bonnie means “good-looking”). The Highlanders were very proud of him because he still spoke Gaelic and wore the traditional kilt. Bonnie Prince Charlie decided to win back the Crown of Great Britain and place it at his father’s feet. He took Edinburgh and for a few weeks lived at Holyrood Palace, the ancient home of the Scottish kings. From Holyrood House he led his army to England. London was in panic. But then Charlie decided not to advance but to return to Scotland again. If he had gone on instead of going back the whole course of English history might have been changed. But Charlie went back until he came to Culloden Moor. Here, in 1745, his tired and hungry army fought with the English and lost. Charlie hid in the Highlands, but the English soldiers followed him. A huge reward was offered to anyone who would capture him dead or alive, but the Highlanders, though poor, never betrayed their national hero. In the end, the young and brave Flora Macdonald gave Charlie her clothes and dressed him like her servant. The two “women got into a boat and sailed to the Island of Skye under the very noses of the English soldiers who were looking for him. A few weeks later another boat took Prince Charles to France. After these events the Highlanders were forbidden to carry weapons, to wear kilts and to speak Gaelic. Scottish people still remember Bonnie Prince Charlie and sing songs about him. One of them, My Bonnie is over the ocean, is known all over the world. Today, the English and the Scots live in peace. Scotland is part of the United Kingdom, as well as Wales and Northern Ireland, but it has retained its traditions and customs, its ancient culture. If we travel all over Scotland, we can see that geographically it consist of three main parts: Lowlands, Uplands and Highlands with their Grampian Mountains, where the tallest mountain peak, Ben Nevis (1,342 metres), is located. It is a vast territory of about 79,000 square kilometres, but the population of Scotland is only five million people. If we compare it with Moscow, it is just half of the population of our capital! The majority of people live in the cities of Edinburgh, the capital of Scotland, Glasgow, Aberdeen and Dundee. 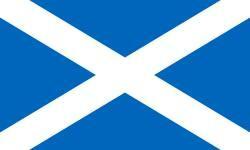 The official flag of Scotland is the Saltire, a white diagonal cross on a dark blue field. It represents St Andrew, Scotland’s patron saint. 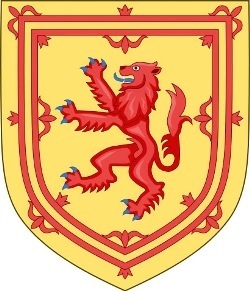 The Royal Arms of Scotland is a red lion on a yellow field. 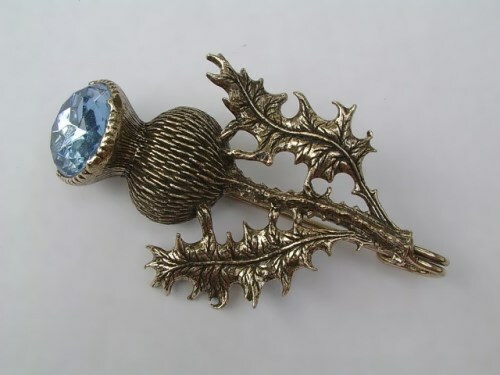 The national emblem is the thistle, a hardy tenacious plant whose purple flower is protected by the prickles. This emblem matches the national character — the character of bright, fearless people ready to prickle the enemies and fight till the last drop of blood for the freedom of the country. You are sure to enjoy the beauty of the Scottish diverse landscape: the hills, covered with purple heather (if you manage to find the white one, then you are lucky), its beautiful lakes (here they are called lochs), its green and narrow valleys (or glens)… Other countries might have higher peaks, deeper lakes and broader valleys, but the unique Scottish combination of mountain, loch and glen continues to capture the hearts of all who come here. The biggest and the most beautiful lake in Scotland is Loch Lomond, but the most famous one is Loch Ness with its mysterious monster Nessie. Nessie sometimes appears to scare the tourists but only in fine weather, which is a great rarity for Scotland! 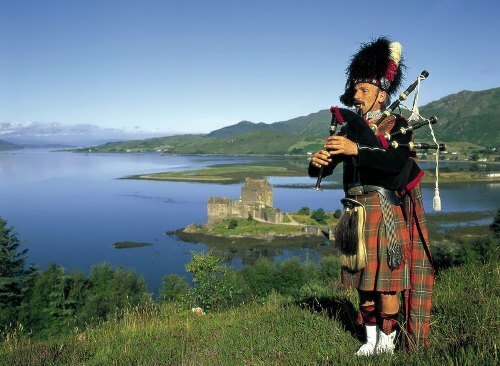 But what can be more peculiar and attractive for tourists than a man in the kilt, playing the bagpipes? Kilt is a certain type of skirt made of tartan. The word tartan comes from the French and Spanish languages and is used to describe a coloured woollen material. The Celts of Scotland made the chequered pattern of tartan the national dress of the country. At first it was just a single plaid worn over the body and secured by a leather belt. It not only left the arms free for work or war, but could be used as a blanket if the Highlander had to spend a night out in the open, which happened quite often. The earliest Scots formed themselves into clans (family groups) and the tartan became a symbol of the sense of kinship. Sometimes there were fierce battles between different clans but nowadays the Macdonalds and the MacKenzies (Mac means “son of”), the Campbells and the Camerons live in peace with each other. There are about 300 different clans in Scotland, and each has its own colour and pattern of tartan together with the motto. The Royal Family wore the Stuart tartan because they came from the family of the Stuart kings. The motto of the Stuart clan is: “Courage grows strong at a wound.” But now, Queen Elizabeth II of Great Britain has her own colour of tartan: grey with black, red and blue. 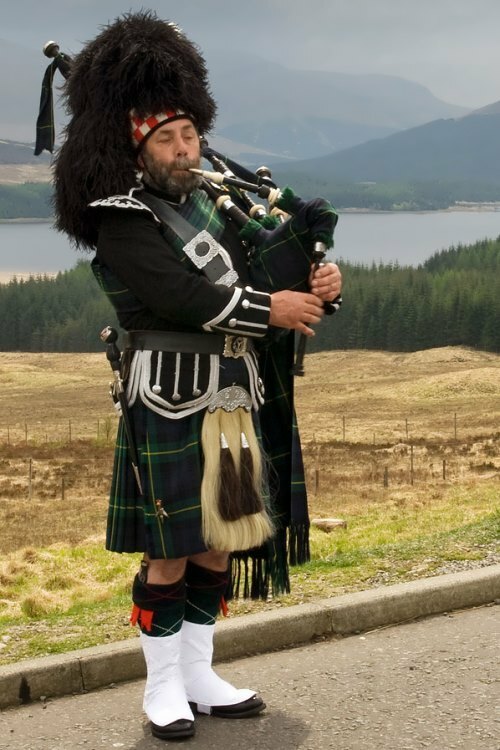 Scotland’s national instrument is the bagpipes. The bagpipes make a very loud sound and you can hear the pipes a long way away. They say Scottish soldiers played them before a battle, and the noise frightened the soldiers on the other side. But how can you imagine Scotland without sheep and high-quality woollen things and, of course, world-famous Scotch whisky? Whisky — a spirit of Scotland, which in Gaelic means “water of life”, is made from just three simple raw ingredients: pure water from mountain springs, barley and yeast. Every day, every 60 minutes, 17,465 bottles of whisky are produced in Scotland! 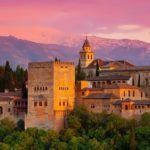 This is also a land of many famous people: writers and poets, scientists and philosophers. Just imagine: you are reading about the far-away, rainy and foggy, mysterious and romantic Scotland and hear a telephone bell. You come up to the phone (by the way, invented by Alexander Graham Bell, born in Edinburgh) and answer it. This is your friend who wants you to keep him company and go for a walk, but it is raining outside. No problem: you put on your raincoat (patented by chemist Charles Macintosh from Glasgow) and are ready to leave the house, but your mother asks you to send a letter to your favourite auntie. So you put an adhesive stamp on it, invented by John Chalmers, Bookseller and Printer of Dundee. Be careful not to get pneumonia in such weather, or you will have to take injections of penicillin, discovered by Sir Alexander Fleming of Darvel, Scotland. Well, in the evening, after a walk, you are eager to sit in a comfortable armchair with a cup of hot coffee and read an adventurous novel by Sir Walter Scott from Edinburgh, or, maybe, Treasure Island by Robert Louis Stevenson, or, The Adventures of Sherlock Holmes by Sir Arthur Conan Doyle, born in Edinburgh, or, maybe, a book of poems by Robert Burns. Indeed, Edinburgh is one of the most beautiful and romantic capitals in the world. 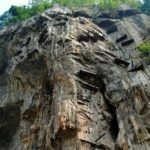 It is built on the hills in a wonderful natural setting. More than 340 million years ago there was an active volcano in this region, and much later a glacier shaped the volcanic rock into a high ridge on which the Old Town stands today. The mighty fortress, Din Eidyn, was built on the top of the rock in 630 AD. It looked so natural as if it had grown out of the grey rock itself. 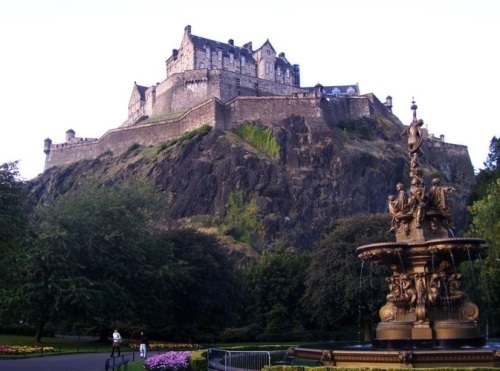 The fortress became the Castle of Edinburgh — the powerful national symbol of Scotland. Let’s start our excursion from here: batteries and soldiers barracks… St Margaret’s chapel, the smallest and the oldest building in the Castle which has survived all wars… The Military prison and castle vaults with the giant medieval cannon — Mons Meg… The Palace — the former residence of Scottish kings and queens with its tiny room, where Mary Stuart gave birth to her only son, the future King James I of Scotland and England… It is here, in the Palace, that you can see the Honours of Scotland: the Crown, Sword and Sceptre and also the “Stone of Destiny”, a big grey stone with iron handles on the sides, which was used at the coronations of all Scottish and then, after the reunion, British kings. Oh, it is one o’clock already! It’s just the time to check your watches! 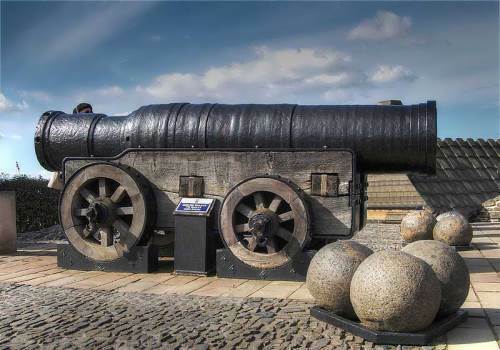 Can you hear a cannon fire? Don’t be afraid: this is a signal gun, fired every 7 day, except Sundays, at 13.00. Now let’s go out of the castle onto the Castle Esplanade, where the famous Military Tattoo takes place every August. 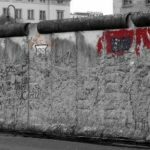 It is famous throughout the world and the tickets for it are sold about 6 months before! 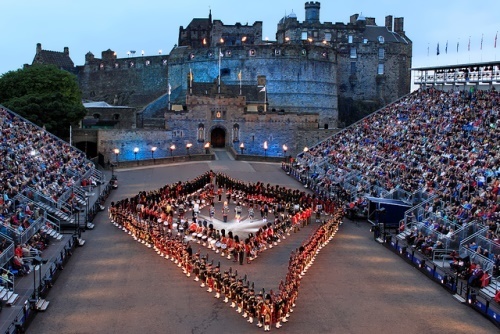 Here you can see an interesting performance of military music, marching, Scottish dances and other spectacular things. Before leaving the esplanade look for a small stone fountain in the wall with a carved head of a snake. It is a modest memorial to the three hundred “witches”, burnt at this place in the medieval city during the dark years of “witch-hunting”. And now down the Royal Mile, a fascinating string of historic streets… The houses here are three or four hundred years old! Their very stones reflect Scotland’s colourful and stormy past. Would you like to come into St Giles Cathedral and listen to the organ? Or would you prefer to spit for good luck on the place (it is specially marked in the cobblestone) where there once was the condemned cell of the old town prison? 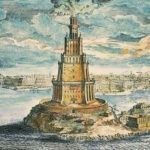 Would you like to see the unique monument to a dog? 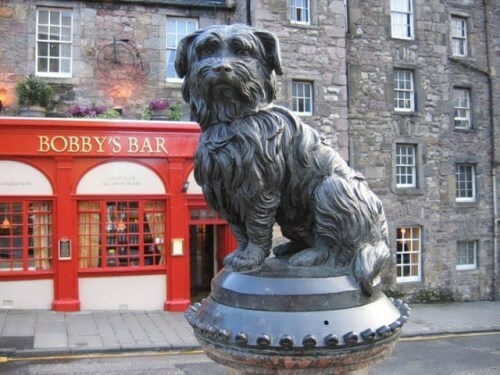 This is a statue of a small terrier, Bobby, who belonged to the local shepherd. After his master’s death, he stayed at his grave every day for 14 years! Bobby’s collar and bowl are in a museum now. Or, maybe, you would be interested in visiting a small cafe in the former house of Deacon William Brodie, the prototype of R. L. Stevenson’s famous story The Strange Case of Dr Jekyll and Mr Hide? Mr Brodie was, by day, a respectable gentleman, but at night lived a secret life of a gambler and burglar and stole to support his gambling debts, two mistresses and five illegitimate children. When he was finally caught in the act of robbing, he was hanged in front of a huge crowd, ironically, on the city’s new gallows which he himself designed. Well, you entered the cafe, you are absolutely hungry and you would like to taste something traditionally Scottish. Of course, being in Scotland, you must taste haggis! This famous Scottish dish, praised by Burns in his poems, is cooked from minced liver, heart and lungs of a sheep, mixed with oatmeal, onion, suet and seasoning. Then the mixture is stuffed into a sheep’s stomach-bag, which is then cooked by boiling or roasting. Haggis is traditionally served on a silver tray by a Highlander in full Highland dress to the sounds of bagpipes on Burns’ Night (January, 25), St Andrew’ Day (November, 30) and Hogmanay— the Scottish New Year (December, 31). Now you are ready to continue your way down the Royal Mile. You can drop in some souvenir shops and buy a sprig of white heather for good luck. It wouldn’t be a bad idea to buy a warm woollen scarf not to get cold breathing in the Edinburgh chilly and foggy air. 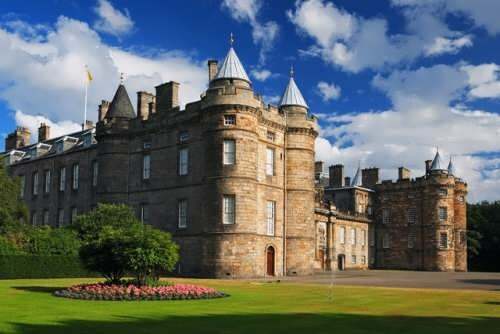 I hope you are not very tired and are not really afraid of ghosts, because now we have almost covered the distance of one mile and are approaching the Holyrood Palace (rood means “cross”), which is now the royal family’s official residence. But this was the place where Mary Stuart spent six years of her tragic reign. Here, in the Palace, near Mary’s private bedroom, her Italian secretary, David Rizzio, was stabbed to death by her jealous husband and his friends. Ghost-hunters will be interested in the fact that the bloodstain left by the murder has never been removed. No matter how hard the scrubbing or powerful the cleaner is, the dull red stain always returns. 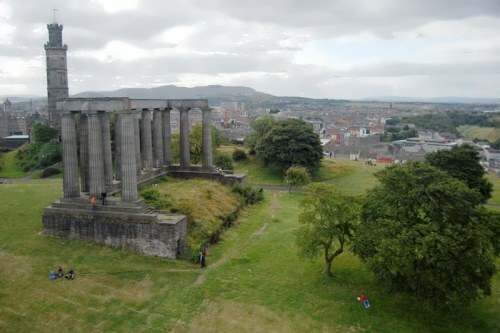 Now you can go down the hill and explore the elegant and straight streets of the New Town, whose building style earned Edinburgh the proud title of “Athens of the North”. Some of the sports at the Games are international: running, high jumping, long jumping. But other sports are typically Scottish. One of them is tossing the caber. 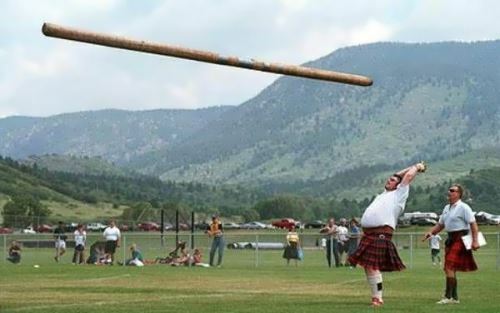 Tossing means “throwing”, and a caber is a long, heavy piece of wood. In tossing the caber you lift the caber (it can be five or six metres tall) and then throw it in front of you. 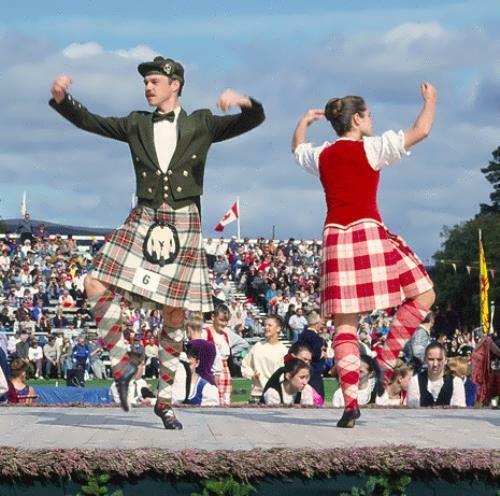 Other events include throwing the hammer, putting the stone, as well as competitions for playing the bagpipes and dancing traditional Highland dances. Scotsmen are known as a very hard-working nation. Indeed, many wonderful doctors, engineers and scientists come from Scotland. But Scottish people also know how to entertain themselves. For example, they are very fond of dancing. They say that they dance better than the English. Glasgow, the biggest city of Scotland, has more dancing schools than any other European city! In the picture the people are dancing a reel, a quick and cheerful Scottish dance. The men are wearing kilts and the women are wearing white dresses with a tartan slash. Scottish people are famous for their love of freedom and hatred of any kind of oppression. 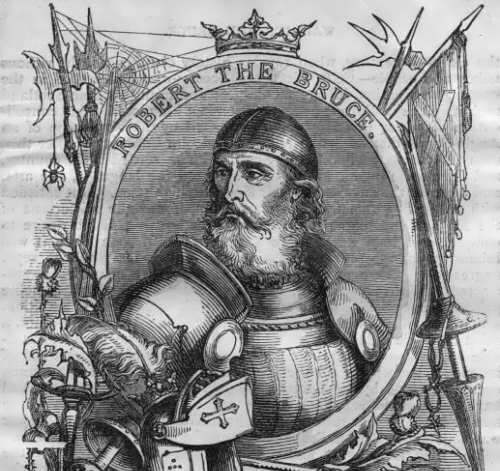 One of their favourite national heroes is Robert Bruce (1274-1329), King of Scotland, who fought heroically for his country’s independence. When Edward I of England took Scotland, Bruce fought one battle after another to drive the enemy out of his country. But he was unsuccessful because the English were too powerful. Finally, Bruce had to hide in a cave. One day, he was thinking about the sad state of Scotland when he saw a spider making a web above his head. Bruce destroyed the web. The spider began to make a new one. Six times Bruce destroyed the web, and six times the spider immediately made a new one. “Like the spider,” Bruce thought, “I have been defeated six times. And I have lost all hope. If the spider makes a seventh web, it will be a good lesson for me.” The spider started and finished a new web. Then Bruce decided to try and free his country again. He gathered a new army and in 1314 defeated the English. The English sometimes say that Scotsmen are the stingiest people on earth. This is not true, of course, as anyone who visited Scotland will tell you. They are simple, friendly and very hospitable. Scottish people say that they like spending money on their friends and visitors — not on themselves.